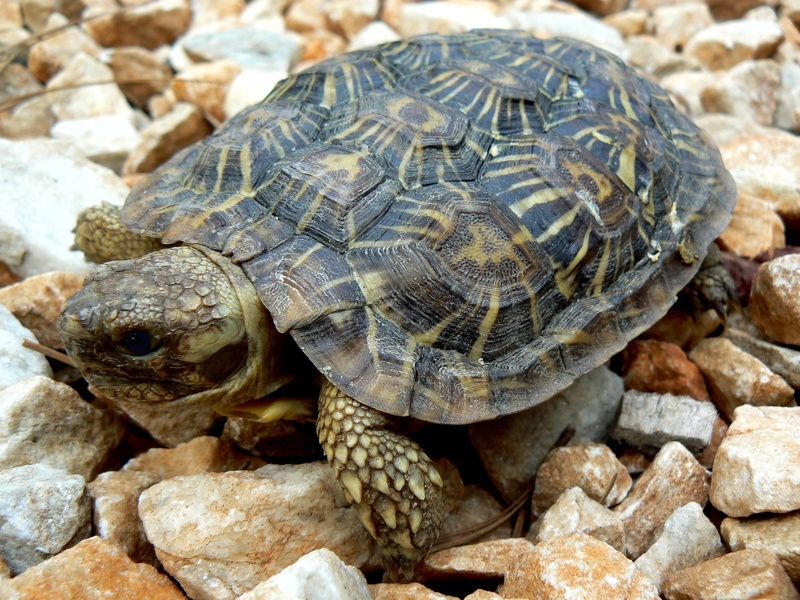 Animal Wildlife | Pancake Tortoise | Pancake tortoises are small and flat with a thin, flexible shell. 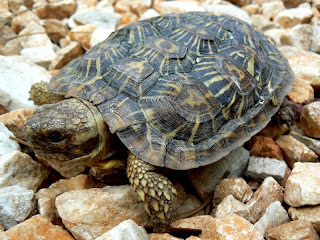 The shell of pancake tortoise is normally 6 to 7 inches long and an inch or so high.On the legs, they have bigger scales with points that project downward and outward. 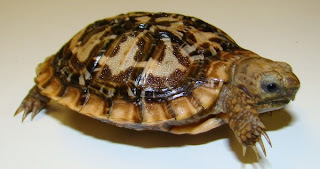 Usually the shell has radiating dark lines on the carapace (upper part of the shell).The plastron (bottom part of shell) is also pale yellow but with dark brown seams and light yellow rays. Juveniles have pale yellow top shells with black seams and yellow rays. Some may have brown spots on their back.The carapace of juveniles is more domed than that of adults. 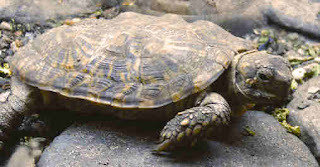 Male pancake tortoises can be distinguished from females by their larger and longer tails. However they are smaller than the females and have less distinctive patterns on their shell. The pancake tortoise is adapted to fitting into tight crevices. Even larger individuals are less than 2 inches high. The shell of pancake tortoise is so thin and flexible that the plastron moves in and out when the animal breathes. Since the tortoise ould easily be torn apart by predators, it relies on its speed and flexibility to escape from dangerous situations. With the reduced weight of the shell, it can move much more quickly than other species. It was once thought that pancake tortoise could puff its body up with air to wedge itself in place, but this has been found not to be true. Instead, it orients its spiky legs outward so that it is almost impossible to dislodge. Also this animal can also climb vertically. Because pancake tortoises are so light they can turn themselves over with ease if they fall on their backs. 0 Response to "Pancake Tortoise"